Media and Entertainment has severely impacted our logical thinking capabilities and provided an easy replacement for real relationships. We want shortcuts to everything. We barely think for ourselves, and biblical concepts are foreign to us. We only repeat, or fight against, what we see in movies, tv shows, videos, or news brainwashings. Why teach the bible patiently, or do life-on-life discipleship when we can shock people with images, and then brand our ministries on their foreheads? Believers we can’t “take over” mountains that have taken us over. How about let’s get our own brains back, our own focus on the Bible back, and our own families back? Just like wisdom is justified by her children, error is often magnified by its children. Your fruit will often amplify your wisdom as well as your error, and take the good AND the bad – that you have shown them – to the next practical level. The Blood of Jesus, Confession, and MUCH PRAYER is needed so that God can multiply your good seed and root out your bad seed. I love the Spirit of wisdom on this guy Todd Shannon! You can prosper more than if you compromise and selling yourself by any means necessary. Paul taught that men should work a job, not only to eat, but to support their wife and family. Paul did not have a wife, but he still worked a job in ministry. However, even though he wasnt supposed to, Paul additionally worked a natural-based job to help maintain the purity of the Lambs Wife (the Church), instead of joining in or competing with the wolves who saw it as their job to eat off the Lambs wife by corrupting the church instead of building her up. Isn’t it interesting that a lot of the prophets, apostles and teachers in the Bible who called the Church, or God’s people, back to purity were either working natural jobs or fresh off of regular jobs? Jesus was a carpenter, Paul was a tent maker, Daniel was an administrative official, Nehemiah was a cupbearer, Amos was a farmer. It’s not a sin to be in full time ministry – but sometimes, when there are too many ministers that see it as their job to eat the flock instead of feed the flock – God sends in fresh workers who don’t have pressure to eat off their ministry, but will instead work to restore purity. Is Christian Music a Business or a Ministry? Regular business – Earthly products. False ministry – sinful music. Ministry is Gods business, not the worlds business. We have to connect it to the church, not the world. Also, doing music for a business that sells an inanimate object like Pepsi or a widget factory is regular music business. Partnering with a label that is invested in the work of iniquity makes you a worker of iniquity, a false ministry. How come these rappers who used to be Christian are so eager to partner with the wicked, but you don’t see any of them bragging about their commercials for regular businesses? That pays money too. I guess doing a sprite commercial or a Chrysler commercial is not cool enough? So they choose deception instead. Perhaps the iniquity of pride is why these guys refuse to stay inbounds? I got a sister who was paid to travel as a US ambassador to Africa teaching them how to rap. She didn’t have to compromise at all. I got a bro who is working on a rap album to teach math to middle schoolers. No compromise. Extra income working in government or family education. These are the types of people doing ministry and regular business that is not filled with iniquity. Those are the real heroes. The people trying to partner with sinful rappers and sinful labels are just deceived and trying to get more attention for their brands. Don’t turn a house of prayer into a den of thieves! Just like in the bible, its the same today. Grievous wolves have entered into the flock of God, and turn prophets into prostitutes for a profit. What can we do? We need to separate the selling and publishing from the worship. It needs to be done at separate times and separate places. In worship people should be able to give and receive freely. DOES THIS MEAN SELLING IS EVIL? This doesn’t mean that Christians cannot sell at all. If that’s the case, then anytime two saints got together they couldn’t do any business. Jesus specifically went into the temple, the place that was set up for worship and prayer and made this declaration: my house shall be called a house of prayer, but you made a den of thieves. Is selling a sin? Is publishing a sin? No, not according to Psalms 68:11 or Proverbs 11:26. 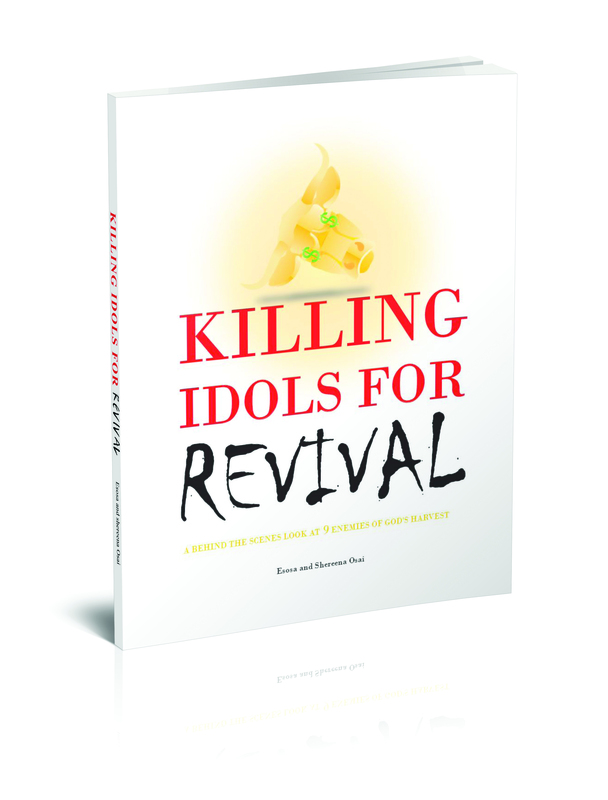 However, selling and publishing do need to be separated from worship and prayer. HOW DO THIEVES HIDE? WHY DO WOLVES MASK THEMSELVES? If you look at a group of sheep in the temple and instead of thinking “what can I feed them?” or “what can I give them?” you think “what can I sell them,” then you are a wolf or you will soon become a wolf. A Shepherd is thinking about feeding the flock not making a profit off of them. Yes it’s okay for shepherds to get paid but the system that God has set up for ministers to get paid is tithing and offering, not buying and selling. Even Jesus had financial supporters (Luke 8:3). Tithing and offering is the primary way to fund any ministry. It’s not a sin to sell or publish according to Proverbs 11:26, and Psalms 68:11. But those things have to be clearly separated from the house of prayer. If you have a publishing company then sell it somewhere else, not at the church. Sell through a website. Sell in a public place. Sell at a concert. Not at a church or temple. Also think about this: when you sell in the temple, wolves smell blood. Their appetite gets turned back on. Thieves think: “I can do that too, even better!” Then they hide in the temple waiting for their chance. Let’s say you go to a church and you sell a product that is 100% pure. What if a false apostle sees your example, figures out that he is more talented than you, and then decides to sell a product that is 85% pure? Now the church has been corrupted. That’s why it’s not a good idea to sell products or advertise brands in the church temple or house meeting. Jesus is the brand and Gods Word is the message. Even a 100% pure biblical product can eventually be corrupted by making room for someone with the wrong motives. I have definitely changed a lot of what I’ve done in the past. I used to promote concerts and sell CDs and I would rent churches and regular venues alike. Nowadays i wouldn’t even sell my book in a church i spoke at. I would not even push it, if someone asked about it I’d tell them to check my website or meet me at my car. I might give some away. When God teaches me something I try to figure out ways to obey, not ways to do the same thing I did before. In some situations a concert is different, but if it’s at a church and it’s promoted to the church, isn’t it really a church event? If its not, why are tithes and offerings being used to fund a concert venue? If a concert is a church event then it’s a not a good idea to sell there. If a concert is specifically a publishing event, not at a church then I’d say it’s okay to publish and sell at it. We need to turn the house of prayer into a house of prayer, not selling, publishing or even branding. Even if it’s a 100% pure biblical product. True, our bodies are the temple of God. But Jesus is also clear that there are church gatherings that are to be set aside for church purposes. He is also clear that his house of prayer was a temple and was to be set aside for certain purposes. I don’t think Jesus was doing a great acting job. I don’t think he was joking around. I don’t think he was giving a false prophecy. I think he was giving us part of his heart. I think obedience to his heart will help to lead us into the greater fulfillment of his word which is our bodies becoming a house of prayer also. DOES EVERYTHING WITH A SCRIPTURE ON IT HAVE TO BE FREE? It would be great if all bibles, books, and musical recordings were free. However, that is not a clear scriptural mandate. I try to focus on what is clear in the Bible. My focus in this discussion is on the purpose of the temple of God. It’s not a place to rack up profits on products and brands but it’s a place to serve, give, pray, and worship. That’s what’s clear scripturally so that’s enough to make our hearts clean. What would happen if all church bookstores were converted into prayer rooms? What would happen if the motivation for the preacher was not to sell his latest book but to say what God is saying? What if the church focused on discipling all believers and letting them operate in whatever gifts they had instead of getting some “special” people to pay extra MONEY for “extra” training? I believe if we start taking God’s word more seriously, soon He will start to take our churches more seriously.